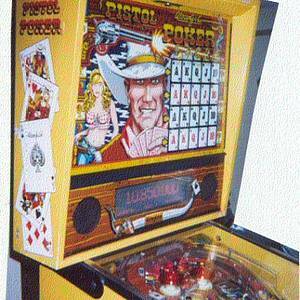 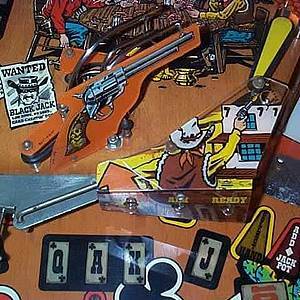 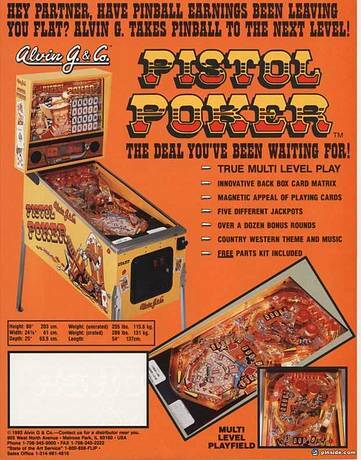 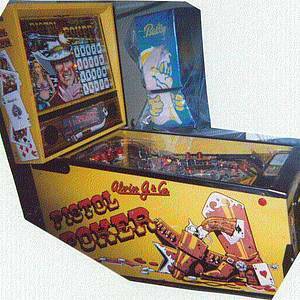 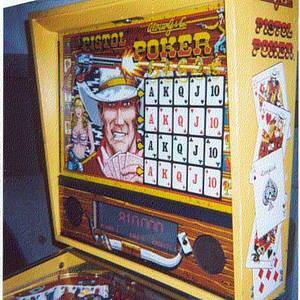 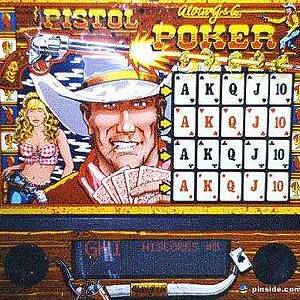 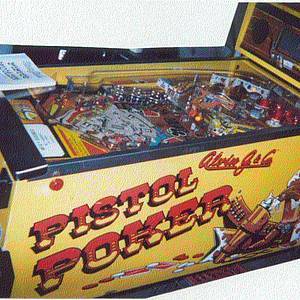 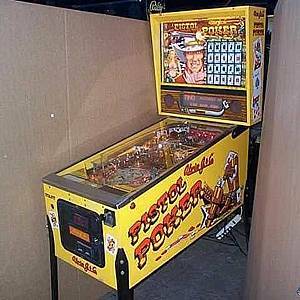 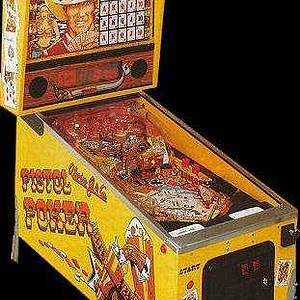 Pistol Poker is a pinball machine from October 1993, manufactured by Alvin G. and Company. 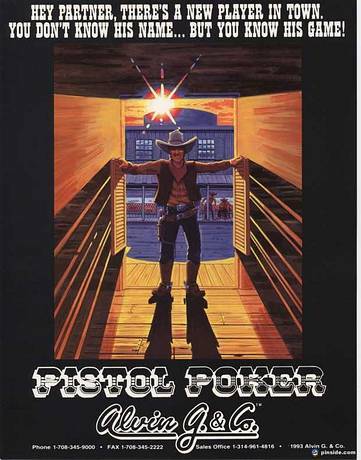 "The deal you've been waiting for"
This game has received 27 approved Pinsider ratings and currently has a rating of 6.920 out of 10. 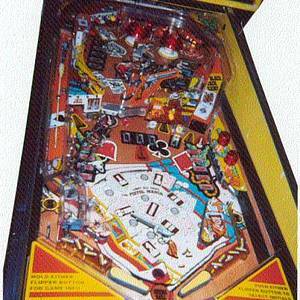 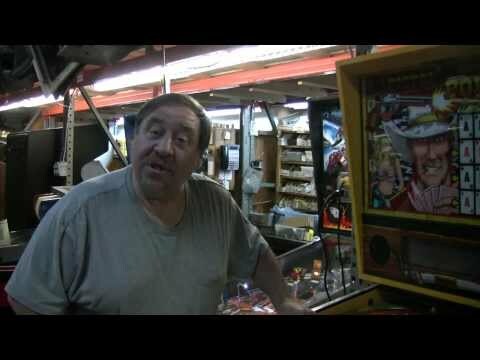 This game ranks #279 in the Pinside Pinball Top 100. 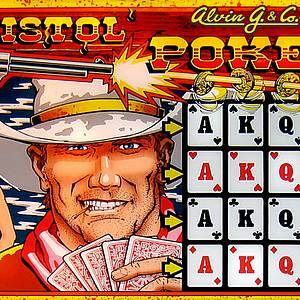 Pistol Poker - Members Only - "Howdy Partner"
Alvin G. and CO - "A Tribute to the Gottlieb Name"